From 1945-1990, the border between Bulgaria and Greece was a Cold War frontier. For Bulgaria, this border zone was also the heartland of a newly-nationalised and strategically important sector of the economy. This was Cold War wine country. The proliterate deserved to drink, and to drink cheaply. The bottle given to us in Sarajevo back at home. During a brief stopover in Sarajevo a few days ago, we were lucky enough to meet the Bosnian film director Danis Tanovic. He gave us lunch, coffee, a tour of his city – and then, after some good conversation, presented us with a bottle of wine with an intriguing name. This was a bottle that had been presented to him back in 2001 as he was hoovering up awards (including an Oscar) for his debut film, and had somehow survived unopened. The wine, like the film for which it was presented, was called ‘No Man’s Land’. From the bottle we could see that the wine had been produced in a place called Damianitza in southern Bulgaria, and a quick Google search showed the location of the town. 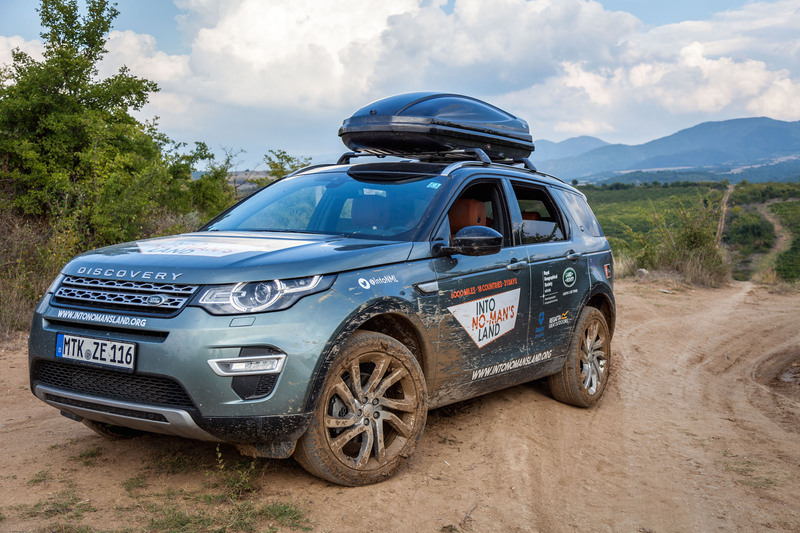 Intrigued to know more, and in the spirit of the expedition, we set course for Damianitza and, after a few wrong turns and a few confused phone calls, we found the town, the winery and the man who had produced the very bottle of wine given to us a few days before. Alasdair speaking with Ivo, head wine maker. 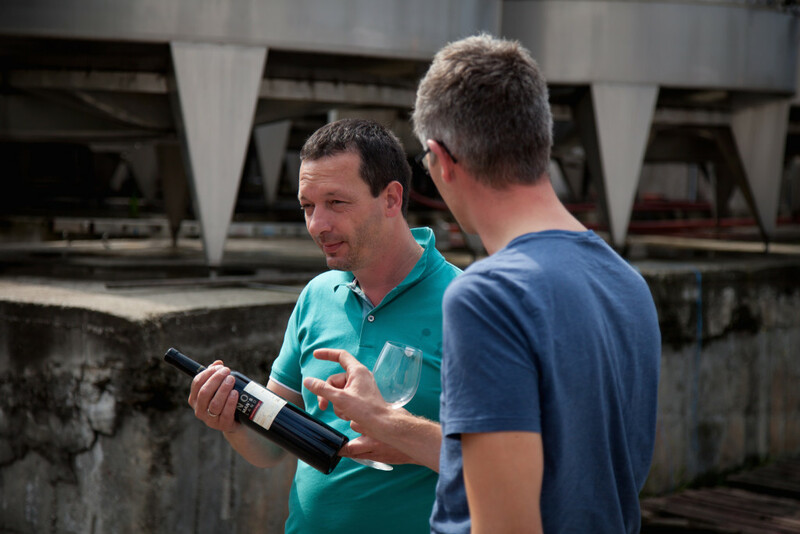 Ivo is the head winemaker at Damianitza and he has an incredible philosophy. 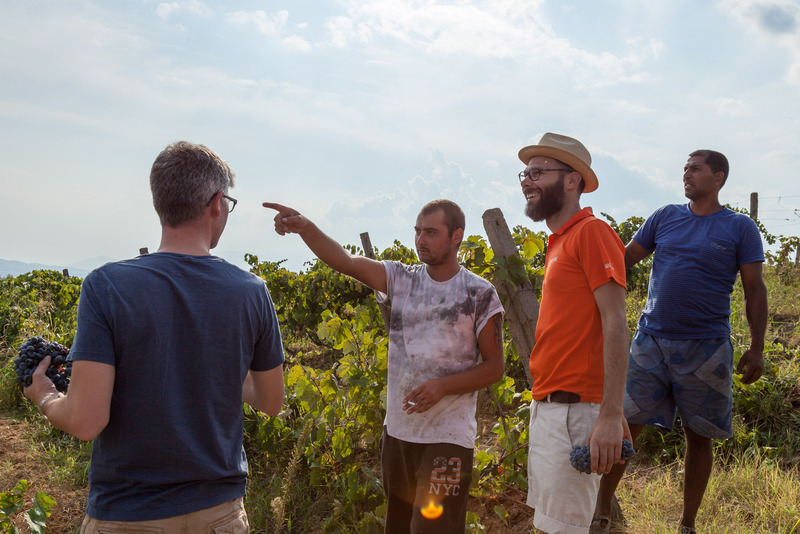 You get the sense that he really cares about his product and about reviving the history and reputation of Bulgarian wine production – both of which suffered badly under Communism. The Damianitza Winery is a case in point. Founded in 1940, nationalised in 1945, it had for most of its operational life produced cheap wine for the proletariat of the Soviet Union. 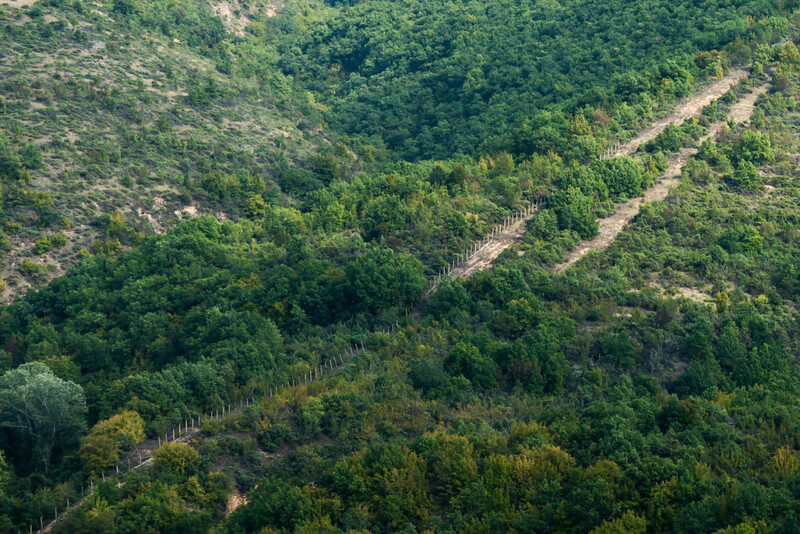 A few years after the fall of Iron Curtain, the Damianitza Winery was re-privatised and Ivo was brought on board to help transform its wine production, and its reputation. The winery works like a cooperative. 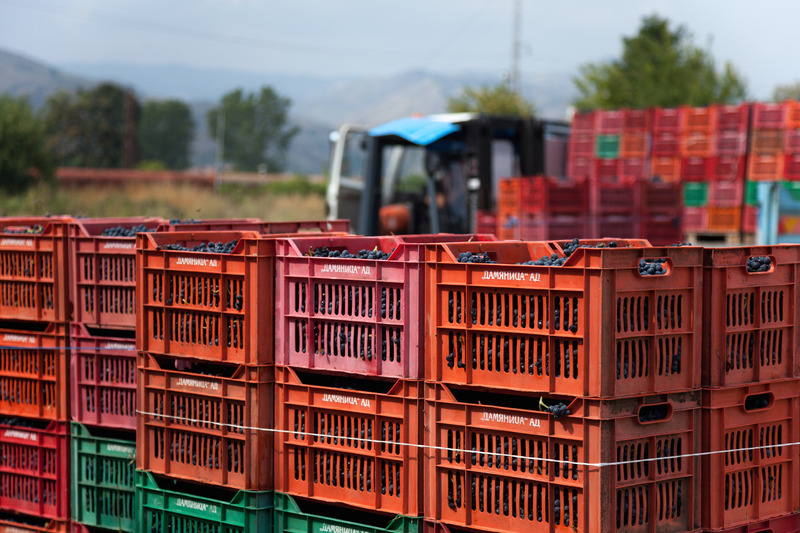 Grapes are produced by farmers throughout the region and are supplied to Damianitza for its transformation into wine. Grapes for white wine tend to come from the more temperate north of the country. Red grapes are sourced from the south-facing slopes of southern Bulgaria – including those that surround Damianitza. With Ivo we locate the exact position of the vines. Perhaps the most special of these grapes, and certainly the most intriguing, come from a region close to Bulgaria’s border with Greece. Shortly after the ‘Iron Curtain’ was drawn between ‘Eastern’ and ‘Western’ Europe, the Bulgarian government, anxious both to prevent external infiltration and to contain the Bulgarian people, reinforced their southern border. 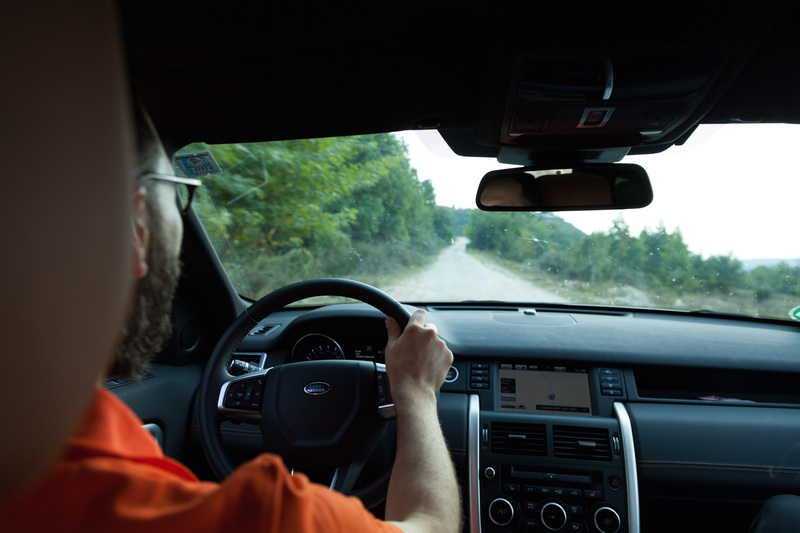 Watchtowers, fences, patrol stations and armed police were just some of the materials and bodies that assembled the frontier. But the border was not simply a line, it was also a vast zone of graduated restrictions. 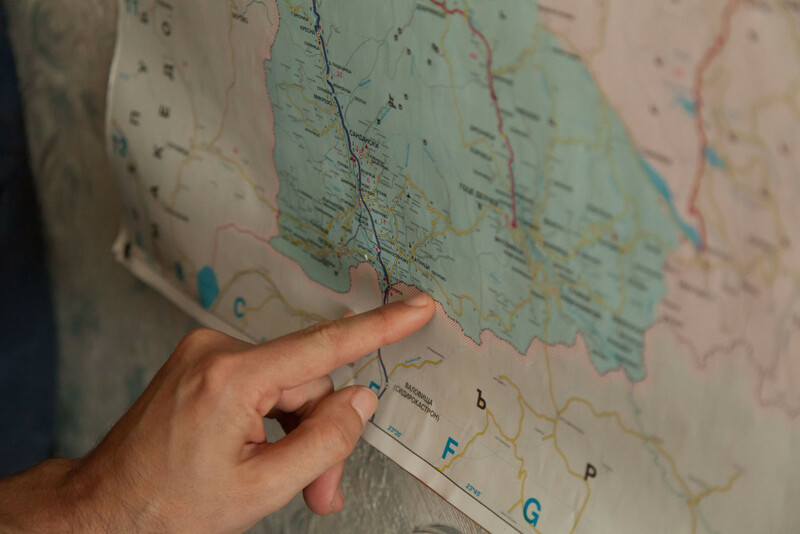 For Bulgarians, it was impossible to get anywhere near the border. Unless, that is, you were one of a handful of farmers producing Melnik grapes – an indigenous variety of grape that fuelled Bulgarian wine production throughout the Cold War. When the Damianitza Winery was re-privatised in 1997, they scented an opportunity to turn the architecture of the Cold War into an asset with international commercial appeal. 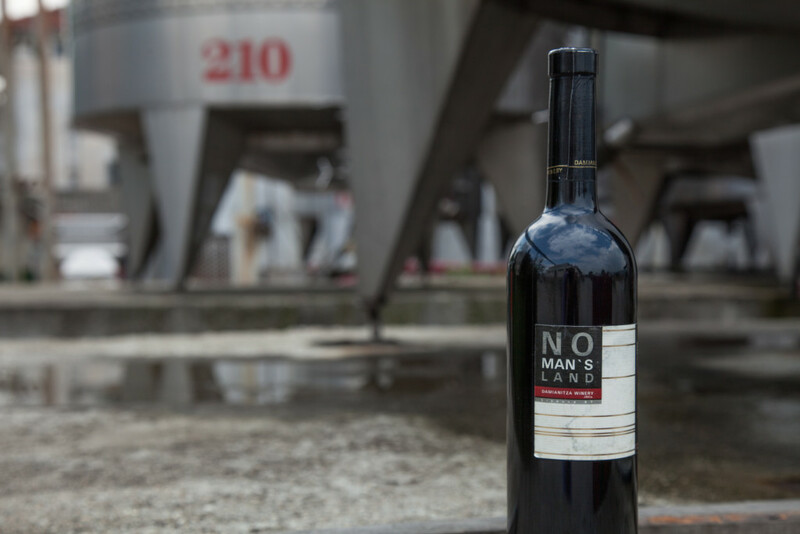 Using only grapes sources from the formerly-securitised 5-kilometre strip of land adjacent to the border, they produced the first bottle of No Man’s Land in 1998 – the name apparently inspired by some visitors from the UK. Local growers point us in the right direction. 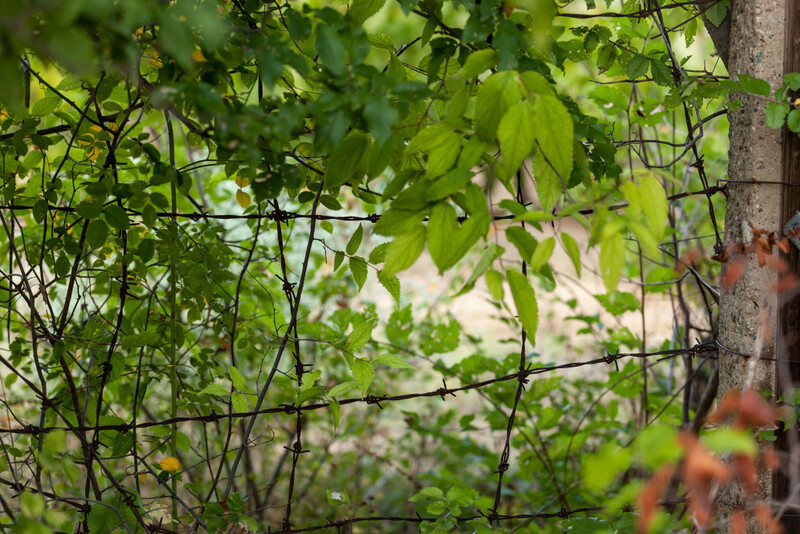 Security fence that was once part of the Iron Curtain still visible in 2015. 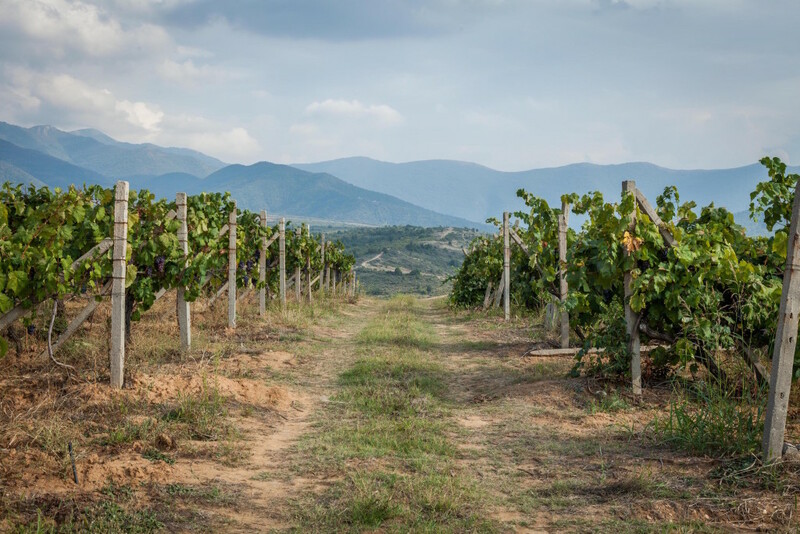 Today, 25 years after the fall of the Soviet Union, vineyards still cover the landscape of the former no-man’s land and so, too, do remnants of the Cold War. The neat rows of viticulture cultivation intersect with the now rusting wires and concrete stanchions that used to form near-impenetrable defences against capitalism. Military patrol booths are now repurposed as storage sheds, and in the distance watchtowers still peak above the surrounding hills. Visible reminders that this was once a highly surveilled forbidden zone. Parts of electric fence still standing on fence posts. Large section of barbed wire fence still stands along the vine yard sides. Less obvious, though, is a more recent process of abandonment. Lines of newly planted, well tended, popular and imported grape varieties, such as Cabernet, sit abruptly next to abandoned vines bearing Melnik grapes, the main ingredient of once popular—and if not popular, affordable—Soviet-era wines. 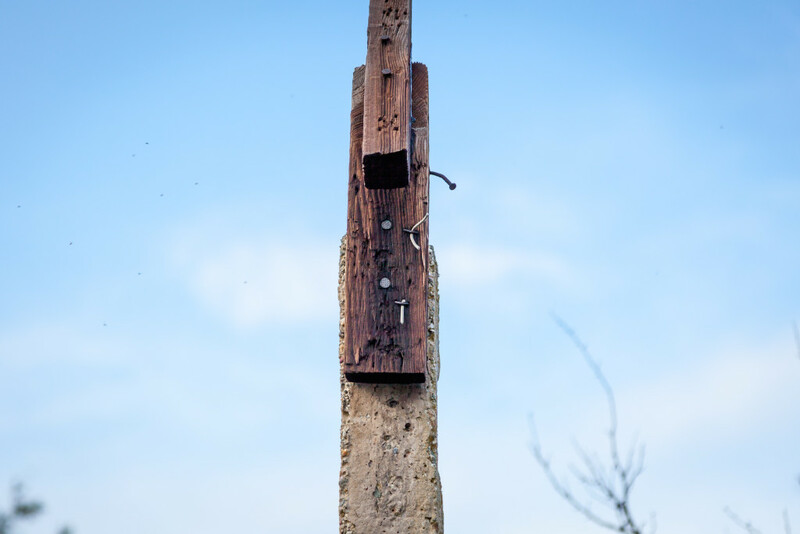 While less concrete than other Soviet-era remnants in the no-man’s land, these are the organic markers of Bulgaria’s twentieth century history, and of the culture, viticulture and economy of the USSR. A view from the newer vine yards towards Greece. Our Land Rover after we emerged from the vines. Nice story about the No Man’s Land wine. Hope it’s all going well. All the best for the next leg of the journey. Thanks John, we really appreciate the support!